Henrik Fisker left the company which bears his name back in mid March amidst massive financial turmoil and with his departure from the company founded on his vision – it seemed that the Fisker brand was a good as dead. It has been two months and things certainly haven’t gotten any better with board members and major financial supporters turning their back on Fisker Automotive while company bigwigs have been required to attend meetings with the US government regarding the company’s handling of the $192 million loaned to the company a few years back. Fisker Automotive as the world currently knows it is most likely about to come to an end but there could be a future for the Fisker brand name if company founder Henrik Fisker and his billionaire teammate Richard Li are successful in purchasing the defunct electric automaker. 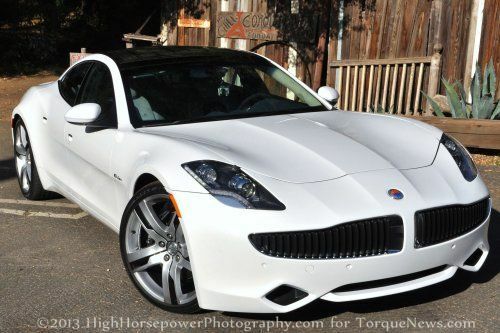 To buy Fisker Automotive at this point is a fairly simple task for someone who has some millions at their disposal. All an interested party will have to do to gain ownership of Fisker is pay off the government DOE loan which was initially $192 million but $21 million was been recovered when the feds cleaned out the Fisker bank accounts so the current debt is “only” $171 million. Plus, prospective buyers do not have to pay off the entire debt – they simply have to be the highest bidder. Basically, if someone is willing to pay $30 million of that loan back to the government and no one else will pay more…that $30 million bidder will become the owner of Fisker Automotive. The reason that this method occurs is because as it stands, the government stands to recoup none of that $171 million if Fisker just disappears into the automotive history books shy of what little can be gained by selling off the few assets owned by the company. Because of that, a buyer willing to pay $30 million for the company will be more beneficial to the bottom line of the US Treasury than it would be for the feds to take ownership of the near dead EV company. The reason that I picked that $30 million figure is because Richard Li and Henrik Fisker are reportedly willing to pay between $25-30 million on the DOE loan to gain ownership of Fisker Automotive. This announcement of intention by Mr. Fisker to repurchase the company which bears his name comes after former GM brass Bob Lutz and Chinese firm Wanxiang Group announced their hopes to buy Fisker Automotive by paying $20 million on the DOE loan. Lutz has become the front man for the new VL Destino – a high performance luxury sedan based on the chassis, body and interior layout of the Fisker Karma with the supercharged V8 drivetrain of the current Cadillac CTS-V. When Lutz and VL introduced the Destino back at the 2013 North American International Auto Show in Detroit, the company planned to offer the 638 horsepower supercharged V8 from the Chevrolet Corvette ZR1 but in an effort to meet the needs of more buyers, the company will opt for the slightly less powerful blown V8 from the Cadillac CTS-V which can more easily be paired with an automatic transmission. Drivetrains aside, Lutz and VL need the Fisker Karma rolling chassis to fulfill orders for the high performance Destino so Lutz is likely more interested in the Karma than the Fisker brand while Chinese firm Wanxiang Group is likely in it for the access to the Fisker name. On the other hand, the infusion of Richard Li’s billions could give a Henrik Fisker run Fisker Automotive a new breath of life – although the company might have a tough road ahead of them if they end up surviving to do business in America after ducking out of somewhere in the area of $141 million in Department of Energy loans.